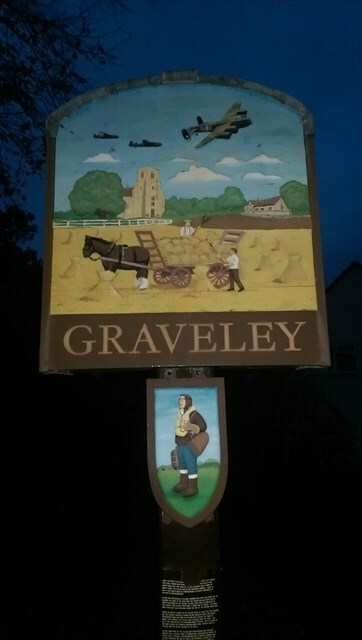 Listed as Greflea in the 10th century and Gravelei in the Domesday Book of 1086 the name is believed to mean "woodland clearing by the pit or trench"
The village has one public house, that opened in the early 20th century. Previous to that The Chequers served between the 1760s until it burnt down in around 1900, after which The White Lion opened, closing in around 1920. From the 18th century, the village had a schoolmaster, and in 1872 a new schoolroom for 70 children was built. Numbers had fallen to 20 by 1900 and under 10 by the 1930s. Older children were moved to Croxton in 1948, and primary children followed when the school finally closed in 1961.